Tablets are becoming staples of a modern man. In near future we might expect to see those completely soon replacing books and notebooks. So, let us dive right into this new trend! Use tablets as textbooks. It is no secret that tablets have a fine use of being e-readers. You could use them to read both standard books and e-books. However, this use isn’t limited to plain reading. You could read Martin Luther Jr.’s “I Have a Dream” speech – or actually hear it from yourself, or even watch it. This leads to a much interactive learning experience, which in turn is much easier to absorb. In addition, all such books allow for highlighting and dictionary access directly from the book itself. Tablets are being accepted in classrooms. While tablets are only a recent phenomenon, students have been using smartphones in the classroom setting for a while now. Therefore, it shouldn’t be a surprise to see tablets as an everyday occurrence within classrooms as well. Any opposition to new technologies will only serve to set the education back. Simply put, students are getting more at ease with tablets – there are more options on a tablet than on a piece of paper. Tablets are much more practical. Let’s be frank here. Tablets are light, and much more easier to use than a laptop. One tablet can contain much more books and textbooks than your bag ever could. Also, be aware of Tegrity, which is probably the app for universities – it allows you to capture specific lecture and listen to it later on. Tablets are constantly being improved. This one’s pretty much a no brainer – there is a tight competition surrounding the tablet market, and all the tablet producers are paying high buck to outperform their competitors. Getting used to tablets will result in higher performance by the student himself/herself. This is a much better option than sticking solely to notebooks, which haven’t been improved on by much since their advent. Tablets are university friendly. 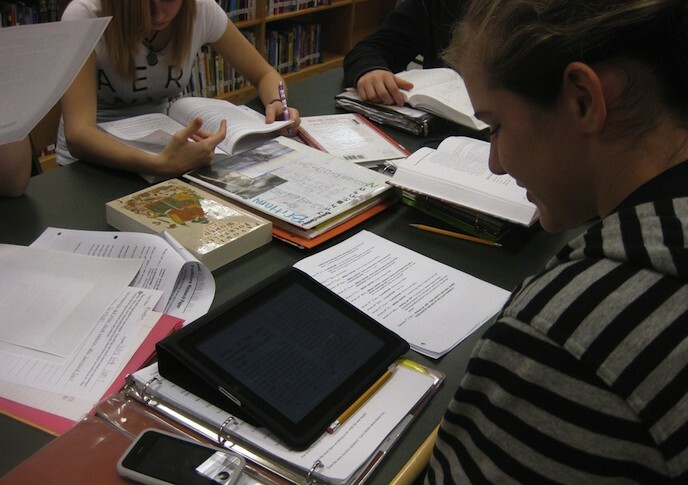 Tablets follow latest education trends. As mentioned before, notebooks are generally all-purpose – they’re intended for both elementary schools and universities alike. In fact, the sole distinction is the covers. On the other hand, tablets offer a multitude of functions and apps that make your everyday learning and organizing easier (Evernote, Astrid, Kindle etc.). Of course, for many, the price of tablets still remains one of the issues for obtaining them. However, this doesn’t need to be a point of a much concern. Obtaining a tablet is, above all else, an investment. As long as the tablet isn’t used too much for superfluous activities, a lot of value could be obtained from it. Also, if the price is a problem, bear in mind that (due to competition) their prices have been constantly dwindling. At the worst case, consider obtaining a second-hand tablet. A tablet is a device that any university student will be glad to have owned in years to come.